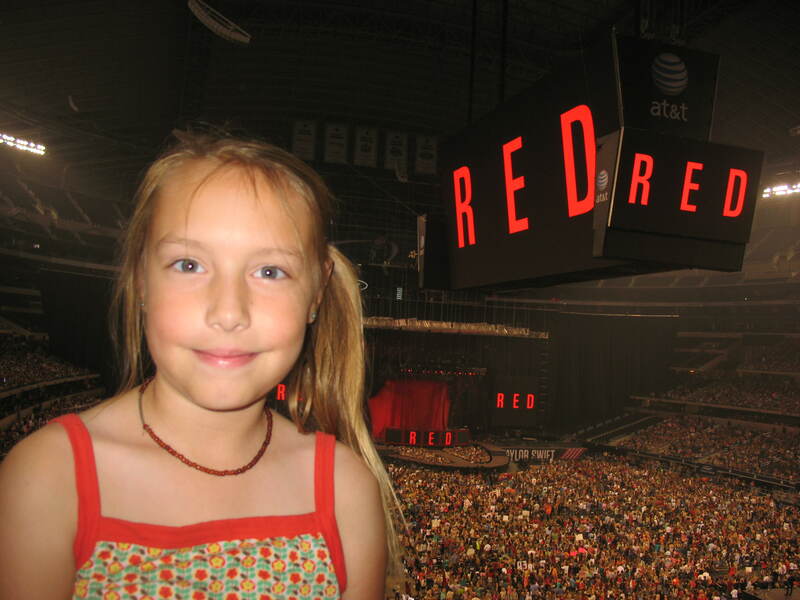 My 8 year old daughter Emily and I attended your concert this weekend in Dallas. It was her first ever concert experience and I fear it was a mistake to bring her. You see, now the bar is set so high for performances that she will likely never reach it again. I want to thank you for being a class act. I am an overly protective mama, and I can feel comfortable encouraging my daughter in her love and adoration of you. I can (and do) say to my girls ‘Look how pretty she is. And look at her clothes and her make up. She is pretty without being inappropriate.’ Thank you for going against the grain of the rest of the modern, oversexualized culture targeting preteens. Free piece of advice: Don’t screw that up. I also want to thank you for giving me this night with my girl. She will never forget being there and watching her hero out there singing. You were her main event. I bought a ticket, too. 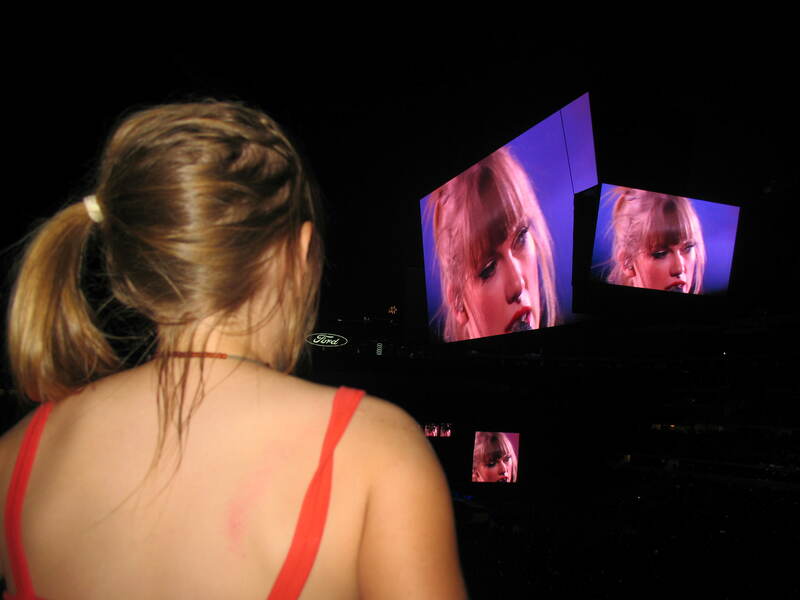 But, Taylor, while I enjoyed your performance very much, my main event was watching my daughter watch you. She won’t forget that night because of you, but I won’t forget that night because she and I shared that delightful time together. Thank you. This year has been a tough one for my girl. Third grade has been the tipping point for what is ‘cool’. It is no longer cool to be the nice girl. It is no longer cool to stay out of trouble. It is no longer cool to be polite and respectful. So for a very sweet ‘good girl’, this was the year her peers seemed to turn on her in a lot of ways. It has been tough to watch her navigate it. Third grade also is the year when it is hard to be different. Before, being different meant that your peers ask questions truly out of curiosity. Now, differences are seized by peers as chances to be critical and sometimes cruel. I understand why. At this age, the playground is a kill or be killed environment. It always will be. If you are picking on someone else, it reduces the chance that someone will pick on you. I don’t mean bullying (in my opinion that word is WAY overused). I mean the small catty, cutting things girls (and not too few boys) say. Being different means giving them a topic to talk about. So it was a particularly hard year to be identified as having dyslexia, and having to participate in a pull out group with a special teacher each day. She never complains about the extra work, she just doesn’t want to be different. ‘I wish I could go to a school where everyone has dyslexia,’ she has told so many times. Then, it became a difficult year to be the only kid in her class to get braces. It has just kept piling on. It has been so….. difficult. And so, Taylor Swift, when you broke out singing ‘Mean’, I am sure you probably wondered who was singing so very extra loud on the front row of Section 327. It was Emily and her Mama, singing our guts out, releasing our frustrations at this rough, tough year. Thank you for being the soundtrack for her life. Someday, I’ll be, living in a big ol’ city, And all you’re ever gonna be is mean. Someday, I’ll be, big enough so you can’t hit me, And all you’re ever gonna be is mean. You gave me chill bumps with that one. Thank you Nicole. You have ‘nice girls’ too- I am sure you can relate! The song “Mean” also helped my daughter have a positive attitude when dealing with a bully in the 3rd or 4th grade. I know a lot of people hate on Taylor Swift, but I think she’s a great role model for girls these days. I love her, too! So glad to have her available for my girl! She (and I) have been overwhelmed at the support she has gotten through this blog entry. It has meant so much to her! Thank you! Very well stated! I like her too. She’s not “nasty” like a lot of musicians in mainstream become once they have a few bucks in the bank! Nasty is exactly the right word for some of those performers! Hope TS retires with dignity before she ever stoops to that! “Don’t screw that up!” Love your advice to Taylor 🙂 It does sound like a rough year. I have discovered that it’s a lot harder raising girls than my son. Your Em is going to grow-up wonderfully unique and beautiful inside and out, just like her mama and daddy. Read this one out loud to her, and she had the biggest smile, Ms. Laura! Miss you! 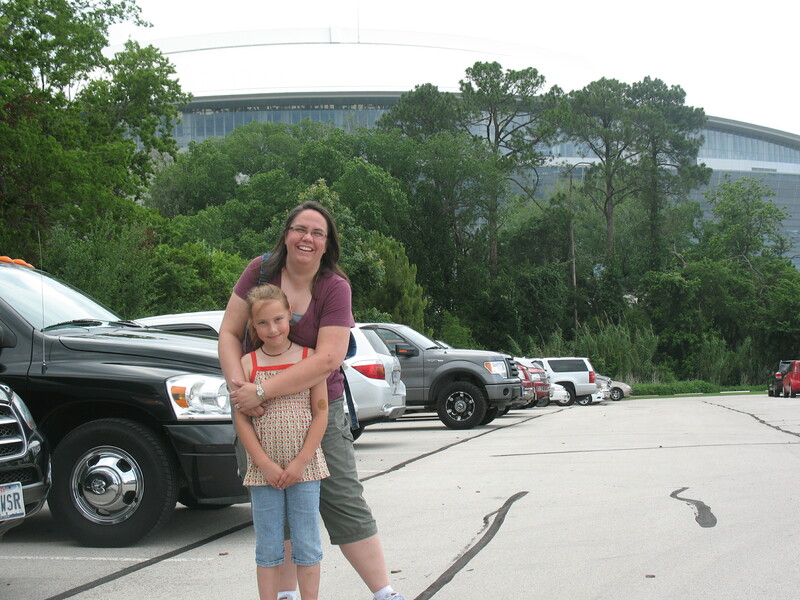 My 9 year old daughter and I attended the Austin concert. I could say ‘Ditto’ to your post. Thanks for putting it into words! We have nada ROUGH year, and we are so happy for summer to be quickly approaching! Yep, summer can’t come fast enough for us either! Hoping for a better year next year! Love this. So glad you are experiencing and treasuring these mom/daughter times. As someone who is launching theirs out to college, I know you are speaking from experience! Love love love this! So beautifully written, as always. Thanks, Kim. I know your ‘good girl’ knows exactly what I am talking about. Spot on! Third grade IS a tipping point.For both boys and girls. It was the worst year for our son and unfortunately the teacher was the biggest part of the problem. I don’t have any daughters, but I like Taylor Swift myself! She writes from her heart and even with all the fame seems to be pretty grounded. She is quite the class act. I am so thankful to have somewhere to steer my kiddo. And you are right, third has been the hardest! And we had a great teacher- can’t imagine how hard it would be without a good one! Love it! Your daughter is lovely and I’m glad you were able to go to the concert together. Thanks! She has been so touched by all this support! Taylor Swift if you get to read this note you must know that you have had the privilege to be touched by such an amazing woman as Nicole White. You have just had an intelligent, precious, beautiful woman speak words of wisdom and encouragement over you. You don’t even know how much you have just been blessed. And I agree with Nicole’s gratitude that you don’t think you need to expose 90% of your body to get people to notice you. Aw, Pammy, I think you may be a wee bit biased. But I’ll take it! Beautiful piece. Very honest. A great kid and a great mama backing her up. I am a little worried for my girls to start third grade, but better to be prepared about what it might be. BTW, have you sent this to TS? You could post on her FB fab page at the least. Thanks- she is my sweetheart. I would love it if TS would give this a read!